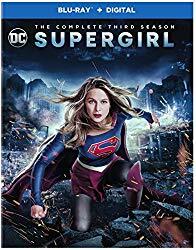 OVERVIEW: Just in time for the fourth season premiere on The CW, catch up with the most courageous Super Heroine on TV, who flies into danger to save her city as Warner Bros. Home Entertainment brings you Supergirl: The Complete Third Season on Blu-ray and DVD on September 18, 2018. In Season Three, Supergirl reached almost 3.2M Total Viewers for each original episode.⃰ Fans can purchase the set which, in addition to all 23 super-powered episodes, contains the DC Crossover, the show’s 2017 Comic-Con panel, featurettes, and more! With Blu-ray’s unsurpassed picture and sound, Supergirl: The Complete Third Season Blu-ray release will include 1080p Full HD Video with DTS-HD Master Audio for English 5.1. 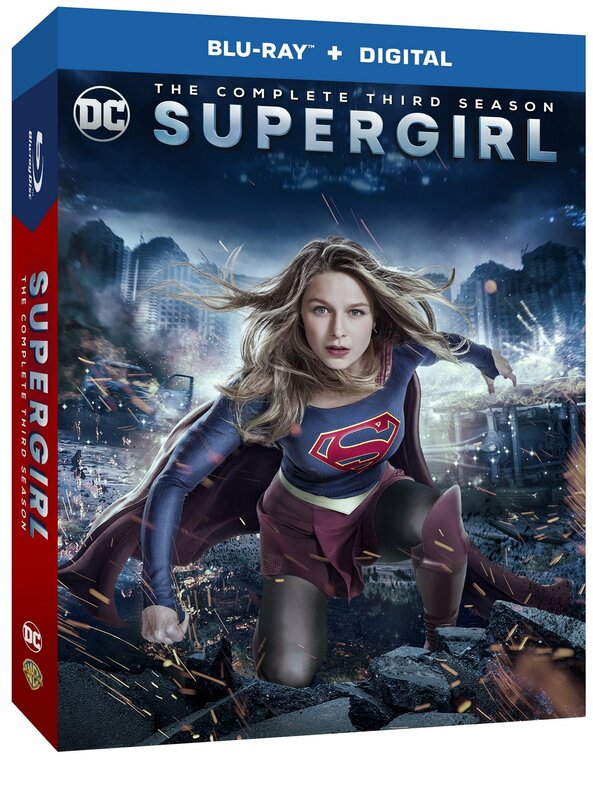 In addition to featuring all 23 episodes of season three in high-definition as well as a digital copy of the season, the 4-disc Blu-ray will also include all four crossover episodes, a tremendous value and collectors opportunity..
SYNOPSIS: In Season Three, Kara Danvers grapples with the sacrifices she’s made personally while saving National City as Supergirl. She even considers covering up her human identity altogether. Being human and vulnerable is hard. Maybe she’s better off embracing her alien DNA and only being the “Girl of Steel.” As Kara struggles with her path forward, she continues to work with Hank Henshaw and her sister, Alex, at the Department of Extranormal Operations to battle all threats to National City, including new villains Morgan Edge, and the “Worldkiller,” known as Reign. Everything Kara’s ever known and everyone she’s ever loved will be tested in all 23 supercharged Supergirl adventures. BLU-RAY: The show is presented in widescreen in a 1.78:1 aspect ration preserving its television format. The picture is just flawless. Not only the picture looks great in this release, also the sound it is good, a 5.1 Dolby Supergirlital in English that provides a good complement to the picture. It also includes English subtitles.